In the new Niche Site Duel Pat came up with another test to see if you can come up with enough content to make it a viable website. I really liked this idea. If you have ever built a website before, it is fun to do the niche keyword research, it is even more fun to hunt down a domain name, and incredibly fun finding all the money keywords. But creating content? That gets kinda old, kinda quick. No matter how you look at it, it takes time or money to create content. The 50-post test will ensure that you have the ability to write a good amount of content for your new website. You can also use these blog or content ideas to write the posts yourself or to hire someone to do it for you. With all the recent algorithm changes, the chances of getting a 2 or 3 page website to rank is getting harder and harder. If you can get a 2 or 3 page website to rank, most likely you are targeting something nobody is searching for and you most likely not see any traffic. If you really want to earn money online, you have to put in the time and commitment and the valuable content to do well. 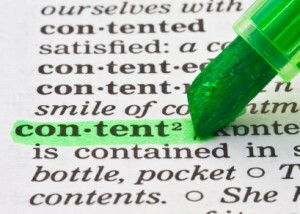 The more content you create, the more keywords you can target. You will also get a steady stream of ‘long tail’ traffic that you weren’t even planning on. Add up all the traffic you get from all your long tail keywords, you will quickly find that you get more traffic than your primary keywords. That is if you have enough content on your website to find those keywords. I get around 600 unique visitors a month. I get another 1000 unique visitors a month. The way I get all those long tail keywords is by having a lot of posts. The 50-point test will ensure that you have enough content for your website, at least 50 related posts or article ideas. Pat suggests creating a spreadsheet with your primary keyword in mind. Come up with at least ideas for articles or posts. If you run out of ideas before 50, which you will, then use the following to come up with more. Use the primary keyword in Long Tail Pro to come up with more related keywords that you can and should write about. Do a Google Search and visit the websites and blogs that show up for more ideas. Go to Amazon and get more ideas by searching for books and related information. You can even take a ‘look inside the cover’ and read the index for more ideas. Search social media using your primary keywords to find related posts and information that can help you come up with some more posts. I really like this idea. I have done similar things in the past by writing out a detailed list of article titles so it would be easier to make new blog posts in the future, but I have not done this in a while. One of the best feelings you can ever have as a blogger is to pre-populate your WordPress blog with scheduled posts, knowing that you are always a month ahead of your posting schedule. If you get in to this habit, you will be way ahead of the game. Keep in mind that you can use these ideas for blog posts, to create videos or do a podcast show. Just know in advance that if you really want to make it big, you need to deliver high value content consistently. If you can’t get up to the 50 ideas, then you should possibly reconsider the niche. Either way, don’t immediately discount the idea, you might need to give your brain a rest, so come back to it later. Next post: Episode 17: Niche Site Duel Announcement and More!